For many years the Myrtle Beach Area Golf Course Owners Association has offered the Myrtle Beach Golf Passport to golfers that were looking for a deal. The Passport card was sold for less than $50 and offered discounted green fees at 86 Grand Strand courses. Originally the Passport was offered to Myrtle Beach locals and second home owners, but two years ago it lifted those restrictions and began selling the card to everyone. It reached its peak this past year with approximately 15,000 Passport holders and is downsizing back to the previous requirement that Passport holders own property in one of the 14 counties surrounding the Strand. Snowbirds that visit the Grand Strand between December and May, and don’t own property can still purchase the card with the same benefits for the same price, but it will only be valid from Dec. 1 through March 15. March 15 is the beginning of peak golf season along the Grand Strand and golf courses need to maximize income during this time with package play. Many golf courses are struggling to survive in a declining business and saturated market. This is not to say that all play is not welcome, just that during this “busy” season the courses have to yield as much as possible to make up for the declining market. At this time of year each tee time is very valuable not only to the courses, but to the golfers that are trying to attain them. I am sure that the MBAGCOA studied this long and hard and believe that this is in the best interest of its member courses and local property owners but can also provide a service for visiting golfers. The Passport has also implemented another change 2014-2015. In the past the courses would allow a foursome to play for the discounted Passport rate as long as one player was a Passport cardholder. This year the golf courses may add a guest rate for additional players playing with the cardholder. The Passport will also include a $20 gift card for PGA Tour Superstore, which is a new sponsor. There are other options for visiting golfers. Many courses offer “Winter Memberships”. These also may include some restrictions. One outstanding option is www.MyrtleBeachTeeTimesNow.com In conjunction with Myrtle Beach Golf Authority, Myrtle Beach Tee Times Now offers great rates on golf without having to purchase any card or membership and allows all members of your golf group to pay the same low price. Booking your tee times 48 hours before you play creates a No-Hassle-No-Fuss experience. You simply unlock your savings 24/7 on our website. If you are looking to increase your savings we can save you BIG BUCKS on accommodations. 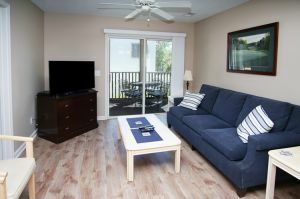 Check us out at www.MyrtleBeachTeeTimes.com or call 888-272-7263. We look forward to serving you! !